2016 will mark the 30th anniversary of the Stars on Ice tour. The Emmy Award-winning production’s celebration tour will be headlined by 2014 Olympic Ice Dance Gold Medalists Meryl Davis & Charlie White. They will be joined by an ensemble of America’s best figure skaters, including members of the U.S. team that will compete at the 2016 World Figure Skating Championships. For the first time since 2009, the U.S. will play host to the world’s best at the 2016 World Figure Skating Championships. Team USA is hopeful their home ice advantage will translate into numerous medals this April. And, after they accomplish that feat, many of those same skaters will leave Boston and join the 2016 Stars on Ice tour, which will visit six cities nationwide beginning in Hershey, PA on Friday, April 15th. For a complete list of tour dates and performance times please visit www.starsonice.com. In addition to Davis & White, performers in the 2016 Stars on Ice tour will include: three-time and reigning U.S. Champion and 2014 Olympic Bronze Medalist Ashley Wagner, 2014 U.S. Champion and 2014 Olympic Bronze Medalist Gracie Gold, and four-time U.S. Champion and 2014 Olympic Bronze Medalist Jeremy Abbott. This year, the tour will also serve as an on-going passing of the torch, showcasing the two Ice Dancing teams poised to follow in the footsteps of Davis & White; reigning U.S. Ice Dance Champions and 2015 World Silver Medalists Madison Chock & Evan Bates, and five-time U.S. National Medalists and 2011 World Bronze Medalists Maia & Alex Shibutani. Tickets for the 2016 Stars on Ice tour go on sale January 22nd. Limited on-ice seating is available upon request. Tickets start at $25 and are available via www.starsonice.com. Group discounts are available for parties of 10 or more. 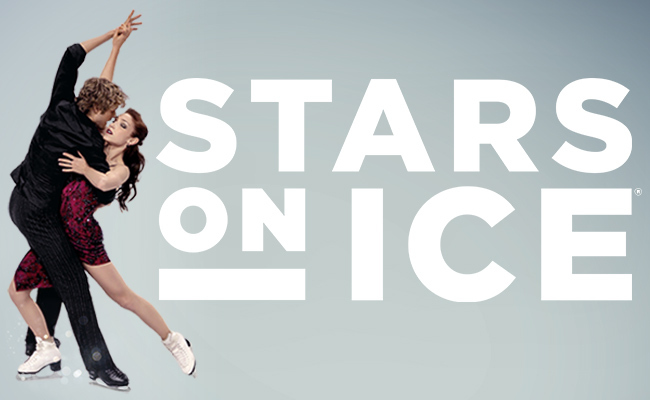 Please visit www.starsonice.com for the most up to date information, as well as exciting show announcements.